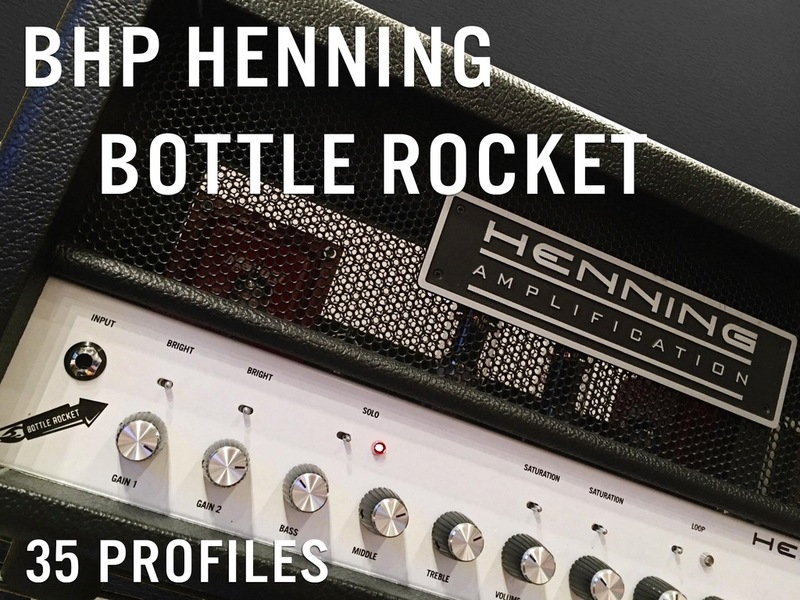 Big Hairy Profiles is happy to bring you the new BHP Henning "Bottle Rocket" Profile Pack. Thanks to Steve Henning for his support in creating this pack. 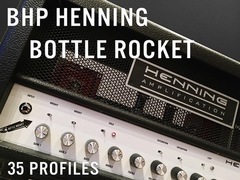 The Bottle Rocket is the latest design from Henning Amplification. A single channel 50 watt amp with enough tonal versatility to cover any gig. It has a lineage from old "Jose Mod" EL34 amps, but the Bottle Rocket continues from there. The Bottle Rocket features dual gain controls (each with a 3-way bright switch), dual foot switchable masters (each with a 3-way saturation switch) and and an overall master. The Bottle Rocket's preamp design is loosely based on the flagship Cherry Bomb's ROD channel. It is capable of heavier/more saturated tones, as well as giving you the ability to tighten the bass response considerably. You can mix the bright switch settings and gain control settings to get everything from classic rock tones to the heaviest modern metal tones. The Bottle Rocket also features global presence and resonance controls. The presence control provides high frequency variable feedback in power amp section, while the resonance control adds depth to the bass response. In creating this profile pack, I tried to capture the breadth of tones that the "BR" is capable of. I used v30 and "Creamback" speakers into a sm57 / API preamp combination to capture all of the EL34 glory! This amp has a strong, bold character that sings through from it's super cleans to it's heaviest saturated tones. It's a joy to play and records VERY well. 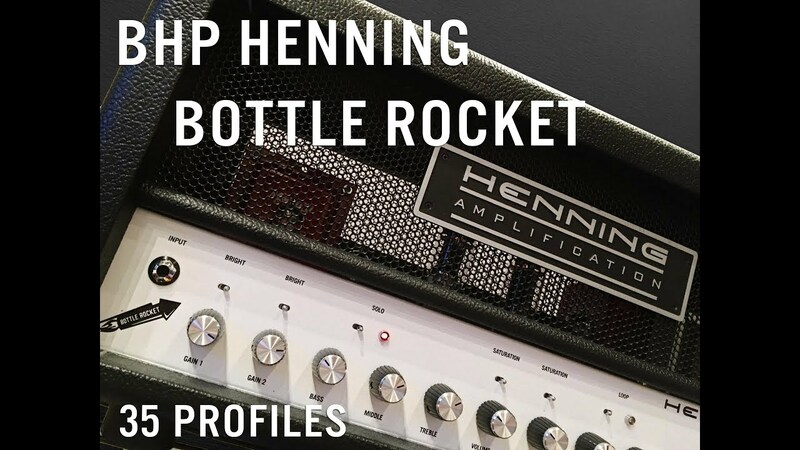 Thanks to Chad Medeiros for the profiled amp.